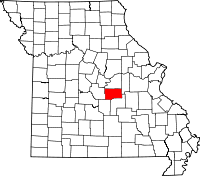 In addition to a couple local sources of records for Maries County, such as the Circuit Clerk who also acts as the Recorder of Deeds, the state of Missouri operates various departments and organizations that handle records for all counties at the state level. The Department of Health and Senior Services Bureau of Vital Records serves as the central repository and maintains a registry that contains all birth and death records, dated from 1910, and marriage and divorce records from 1948 for the state. The Bureau provides all necessary applications which can be mailed in after being completed and notarized. The Bureau can be called at (573) 751-6387 or emailed with any questions. The applications can also be physically turned in at the local Phelps/Maries County Health Department at 200 North Main in Suite G51 in the town of Rolla, MO.